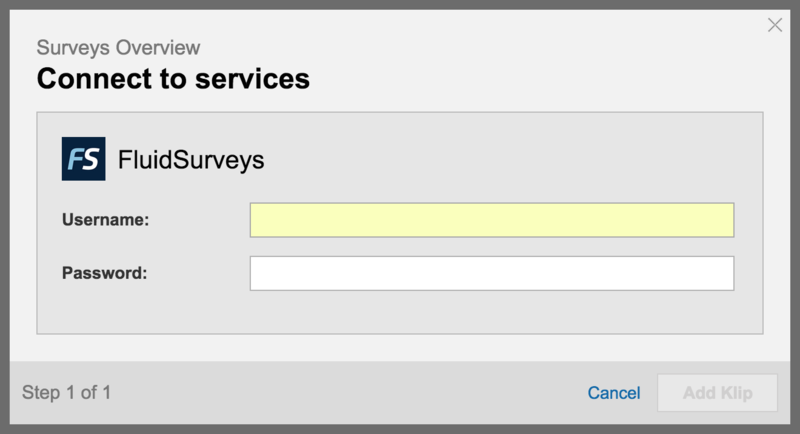 Klip Gallery: FluidSurveys – How can we help you today? Monitor the status of all your surveys and watch the responses soar. Shows a list of your surveys, their status, number of responses, and more.